The Badlands Battlezone is a new area for level 60 captains. The Terran Empire, flush from victory over the Iconians in the Mirror Universe, is using technology from the future to open portals into the Badlands and stage an invasion of our universe! Captains in the Badlands will need to drive off the Terran Empire and their Mirror Universe cohorts while avoiding fire cyclones and plasma storms. The Empire has set up portal generators that need to be shut down, power collecting stations that must be deactivated, and forward bases with metaphasic shielding that must be destroyed. Completing these engagements will lead to a cataclysmic battle as the Empire transitions entire starbases into the Badlands, which must be driven back – and even after the bases are pushed out of our universe, the Empire will make one last push with an entire fleet of ships, led by Admiral Leeta’s flagship! Completion of objectives in the Badlands Battlezone will award new Terran Empire marks, used for advancing through the Mirror Universe Defense reputation. Additionally, participation awards expertise and dilithium. 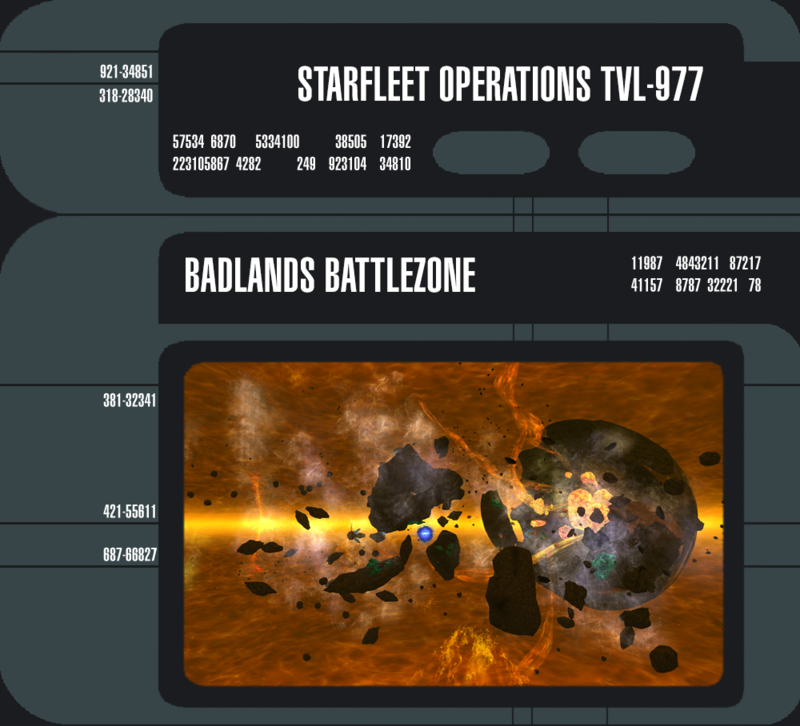 The Badlands Battlezone is available to level 60 captains of all factions, accessible from the Alpha Quadrant. Yay! I like these battlezones. Hey, right in our back yard! Not a very wise place to put your portals, Leeta. That's assuming the Reavers don't catch you first. 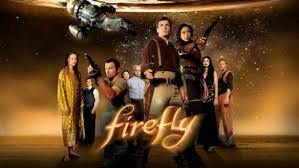 I feel an rp coming on , only problem is the timeline. We will be featuring two new story arcs this season, the first of which features Chase Masterson reprising her role as Mirror Leeta. The team has taken the time to completely revamp the Cardassian story arc, and deliver a tight story that delves deeper into the Mirror Universe and their plots against the Prime Universe. Alongside that storyline, we’re also going to take a peek into how the Mirror Universe fared in their version of the Iconian War, and how that fallout could impact the Prime Universe. I’ll give you a hint; it went pretty well for them! They now have the tools and technology to really give the Prime Universe a run for its energy credits through two Deep Space Nine themed queues and a space battlezone in the Badlands. Luckily, the Terran Taskforce Reputation will give you the tools and abilities you’ll need to level the playing field and send the Terran forces back through the looking glass. We’ll also be moving the main story arc along for Star Trek Online as a whole. With the war over, and a large alliance of varied species, the impulse to discover is re-emerging. We’ll be investigating parts of the Alpha Quadrant that haven’t been seen before, making first contact with a new species, and seeing the far reaching effects of our extensive use of time travel in the Iconian War. The introduction of the Admiralty System will also give players the opportunity to not only put players in charge of a fleet and truly feel like an admiral, but to also make use of all the ships they have in their inventory. The system provides a strategic and tactical ship command experience, as well as significant rewards for your efforts. We’re excited to see this system finally make it live so the entire community can enjoy something we’ve been having a blast with internally for quite some time. With the introduction of a brand new story line that brings the game forward, and so much new content to experience, there’s never been a better time to warp in and check out Star Trek Online. 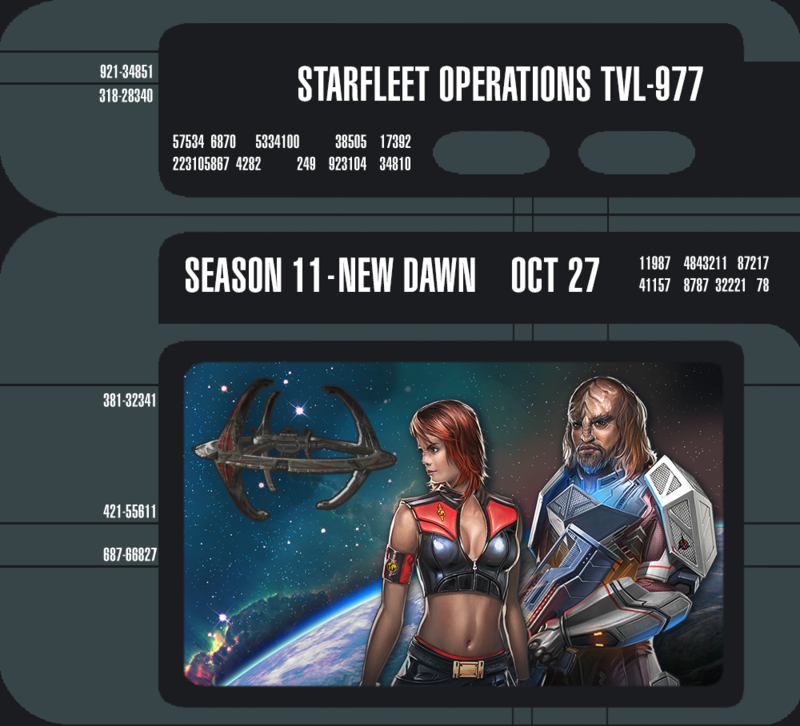 I look forward to seeing you all in game for the October 27th release of Season 11: New Dawn. this looks intersting and i should have high speed net by next month finally! I shall pop by soon ! ** All prices in Dilithium. ** Ships that did not cost Dilithium previously have not had their prices altered. In addition to the permanent price reductions listed above, we will also be running a special Discount Event, allowing players to purchase additional starships at a discounted rate, for use in the brand new Admiralty System. For one week following the release of Season 11, all of the above prices will be further reduced by 50%! This special Dilithium Ship Discount Event will begin after maintenance concludes on October 27th, 2015 and run until maintenance on November 3rd, 2015. “Would that be airlock 22, where engineering still hasn’t restored structural integrity, sir?” said Linnea in an all-too-innocent tone. “That’s the one,” said Quinn with a heavy sigh. Quinn’s brow furrowed in puzzlement. “The next graduation is still a few months away,” he said. “You think any of those cadets might have dreams of getting to the admiralty and emulating an old Trill?” said Quinn with a chuckle. “Only the ones who really enjoy paperwork and squeaky chairs,” Linnea said, then gave a wide smile. “Of course, sir. Since you asked me to get out, perhaps I could take some of that vacation time,” said Linnea. “You know I can’t get anything done when you do that,” said Quinn. 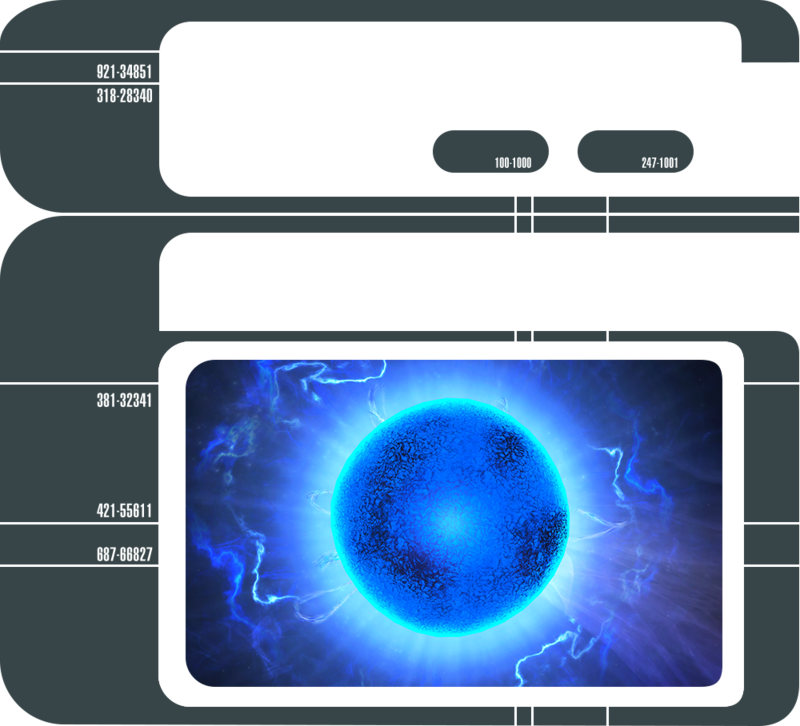 Coming with Season 11, enjoy our latest featured episode, “Sunrise”! On the heels of the Iconian War, return to exploration, science, and the majesty of space as you head to the edge of the known quadrant to investigate the mystery behind a dying star. “Sunrise” introduces our new season and our new story, and includes great rewards that you can earn over the course of several weeks. Spoke too soon when I said "is this all, a bonus event for Fleet credits", I'm glad to see. This looks like a mission I'll enjoy. Life's a bit hectic so don't know exactly when I'll next be in game but see you all out there soon. While the Iconian War is now over, its impact can still be felt across the galaxy. Throughout the course of the conflict, Federation, Klingon, and Romulan researchers worked tirelessly to study and reverse-engineer captured Herald technology. Together, their scientists have managed to make significant breakthroughs in gateway mechanics. Though they are unable to construct new gateways, their research has led to prototypes which tap into the existing Iconian gateway network, allowing for the Heralds’ own tactics, weapons and ships to be used against them. 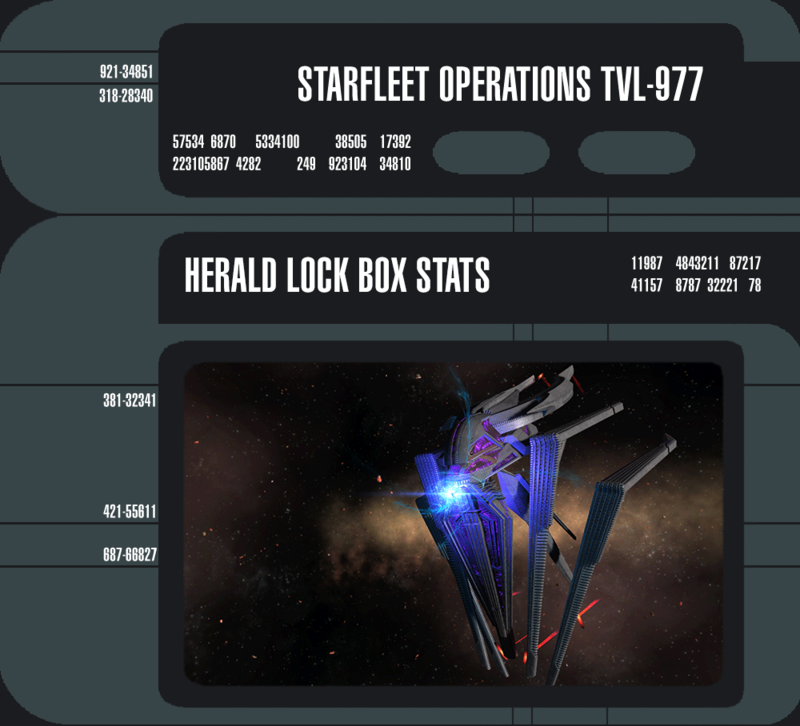 By opening one of the new Herald Lock Boxes, players will be able to win the Herald Quas Flight Deck Cruiser [T6]. This ship is the workhouse of the Iconian Herald fleet. This incredibly durable starship boasts excellent shield capacity and hull strength. The Herald Quas Flight Deck Cruiser comes fitted with both a Lt Science/Command and Lt Commander Universal/Intel bridge officer seat, and one hangar of Herald Mir Fighters. In addition, the cruiser possesses the Energy Gateway Controller universal console, which can open a gateway to rapidly replenish the shields of nearby allied ships. Incoming Shield Healing abilities restore a small amount of Hull Hit Points over time. This can occur once every 10 sec. 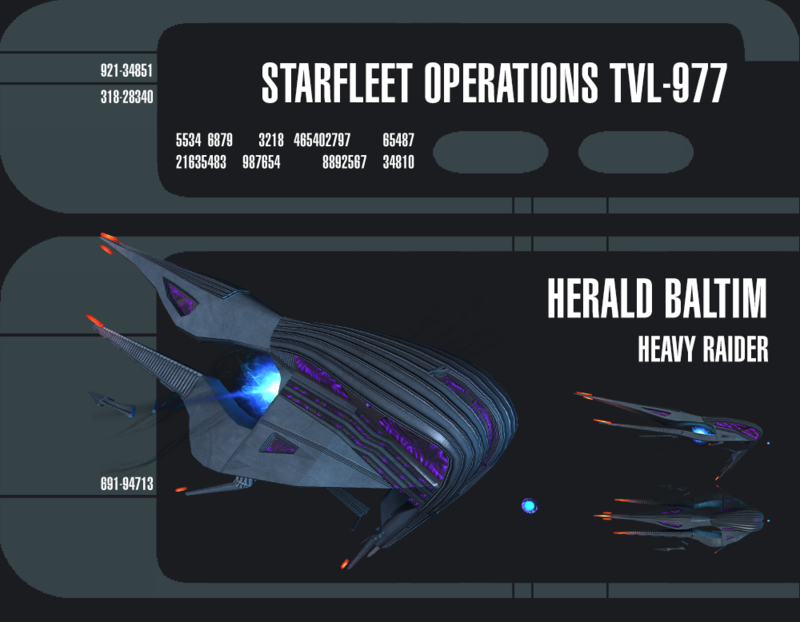 The Lobi Store now offers the Herald Baltim Heavy Raider [T6]. Baltim Raiders are the most commonly recognized starships of the Herald fleets, and are known for their deadly hit-and-run tactics. They offer Captains a tremendous amount of firepower and durability for a ship of its class. The Baltim has both a Lt Universal/Pilot and Lt Commander Universal/Intel bridge officer seat, and is equipped with the Ambush Gateway Generator universal console. When activated, the Ambush Gateway Generator creates a gateway around your starship. After a brief delay, the gateway teleports your ship approximately 3km behind your target, while giving you a boost to damage and critical chance. Firing Directed Energy weapons at an enemy’s rear arc regenerates your shields. 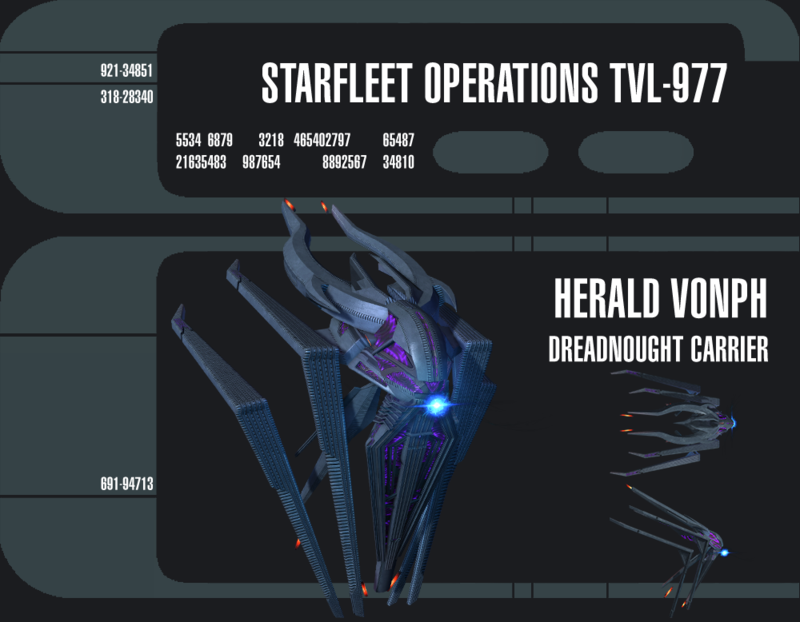 Finally, the Herald Lock Box contains the Herald Vonph Dreadnought Carrier [T6]. This incredibly rare Tier 6 starship has a small chance to be rewarded in place of Lobi Crystals when opening the lock box. Every box has the chance of containing this ultra-rare prize, in addition to any other prize you also receive, giving exceedingly lucky players the opportunity to acquire two separate ships from opening a single box. The colossal Vonph Dreadnought Carrier is slow to maneuver, but incredibly durable and versatile. It has both a Lt Engineering/Intel and Lt Commander Universal/Command bridge officer seat, and comes with two hangar bays of Herald Mir Fighters. Additionally, the Vonph features the Oblivion Gateway Module universal console. Using the console creates an Oblivion Gateway near your target which periodically pulses with solar radiation, heavily damaging nearby enemies. Reduces the Recharge Time of all Bridge Officer abilities every 5 sec. Requires being at or above 80% Hull Strength. 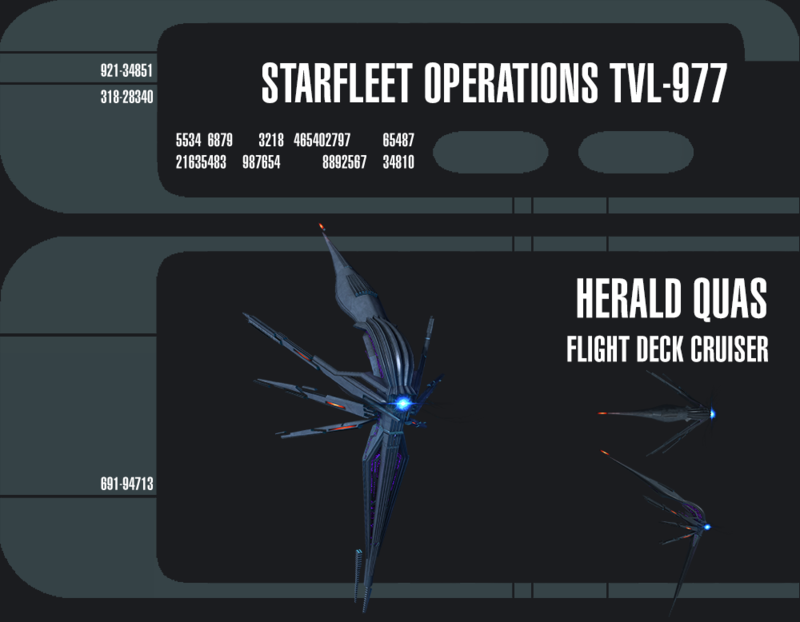 All three consoles can be fitted onto any Herald starship, and comprise the Herald Tactics console set. Equipping two consoles increases your Critical Severity and Flight Turn Rate. Equipping all three consoles gives access to the Solar Flare Gateway ability. Using Solar Flare Gateway creates a solar gateway behind your target, which then fires a beam of solar radiation at the target, dealing radiation damage. Recovered from the field of battle, this lock box contains the Polymorphic Probe Array universal console. Usable on any ship, the console deploys three Polymorphic Viral Probes. Once active, the probes infect enemy ships with an enhanced version of Viral Matrix, which disables subsystems and deals damage. Outgoing ranged Critical Hits give you a 50% Shield Penetration buff for 10 sec. Can trigger once every 45 sec. Incoming Critical Hits give you Temporary Hit Points for 15 sec. Can trigger once every 60 sec. Outgoing energy weapon and projectile Critical Hits give you a 50% Shield Penetration buff for 10 sec. Alliance engineers have developed prototype Kits which enhance weapon damage, and can be obtained by as one of the potential prizes from the Herald Lock Box. Opening a Herald Kit Pack gives a Kit appropriate to your profession and level. In addition to offering standard skill bonuses, such as increases to Willpower and Combat Armor, each kit frame will enhance weapons with a randomly chosen damage type, such as Polaron or Disruptor. Researchers have also studied Iconian tactics and capabilities, resulting in new Universal Kit Modules. Freely usable by any profession, these Kit Modules offer Captains additional methods to control the flow of battle. Opening a Herald Module pack will reward you with one of four (4) Kit Modules appropriate to your level. Creates a Solar Gateway near your location. After a brief delay, fires a continuous beam of solar radiation at the nearest target, causing damage. Creates an Overcharge Turret at your location. Fires blasts of overcharged Antiproton energy in a cone, damaging and knocking back targets within its firing arc. Creates two Gravimetric Traps near your location. Gravimetric Traps seek out enemies, holding and dealing damage to foes caught within. Creates three Gravimetric Detonation Fields around the target. The fields detonate after a brief delay, damaging and knocking back targets within. The last of the new prizes available from the Herald Lock Box comes in the form of Herald Antiproton Weaponry. These weapons fire antiproton infused dark matter at their targets. They are highly efficient, and have a chance to further enhance the user’s weapon damage for a short time when fired. Herald Antiproton Projectors are designed to properly contain the dark matter when exposed to atmospheres, allowing for ground use. These staff-like weapons fire concentrated beams, with similar firing modes to existing ground technology. Increases the wearer’s Critical Chance and Severity. Offers high Physical, Kinetic and Energy Damage Resistance. Purchasing unlocks access to the Herald Heavy Armor Outfit. This item is freely upgradable to Mk XII, allowing Captains of all level ranges to use it. Fires Herald Antiproton energy, with a chance to increase weapon damage for a short time. Primary weapon fire chains to up to 2 additional targets. Secondary weapon fire launches a concentrated ball of energy which explodes on contact, dealing damage in a small area. Initially observed and classified on the New Romulus system, the Triconipus species has been discovered on multiple worlds with Iconian gateways. Known for being quirky, playful and affectionate, the Lobi Crystal Consortium has begun offering these creatures as exotic pets. The consortium is quick to point out that while the Triconipus has tentacles and floats through the air, they are completely harmless and actively flee combat situations. Purchasing the Triconipus Companion Non-Combat Pet Pack gives players a randomly selected Triconipus breed. Players may also purchase the Herald Thrall Outfit from the Lobi Crystal Store. This new outfit resembles those worn by low-ranking Herald forces, and is compatible with the Herald Heavy Armor outfit. 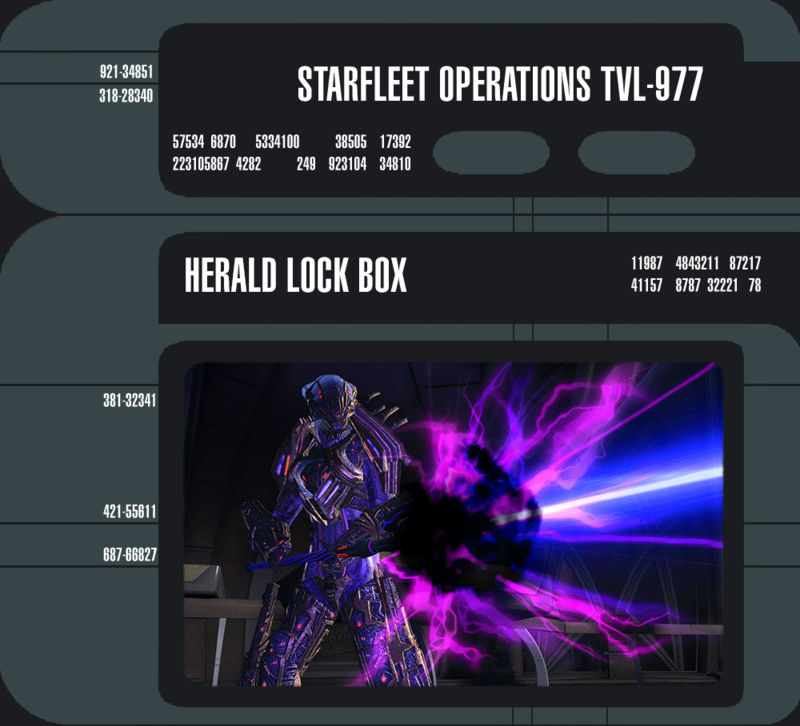 The Herald Lock Box will also include the Full-size R&D Pack and numeric boosts seen in the Year of Hell Lock Box. These valuable prizes make participating in the R&D system far simpler, by supplying a wide variety of difficult-to-obtain materials, as well as Catalysts to increase your chances of critical success. The Herald Lock Box, as well as these thematic additions to the Lobi Crystal Store, will become available with the launch of our Season 11 Update on October 27th, 2015, at approximately 10:00am PST. During the earliest armed confrontations with Iconian and Herald forces, many allies proposed seizing their advanced technology in order to turn it back against these powerful aggressors. Undertaking these efforts came at the price of vast resources and manpower, but thankfully resulted in much of the Heralds' advanced technology now being reverse-engineered sufficiently to be used by the allied forces of the Milky Way, even if many of their underlying scientific principles are still beyond the understanding of most modern specialists. The pinnacle of these efforts is undoubtedly the acquisition and refitting of a number of fearsome Herald starships, now capable of being manned and flown by the most worthy captains of the Alpha and Beta Quadrants. 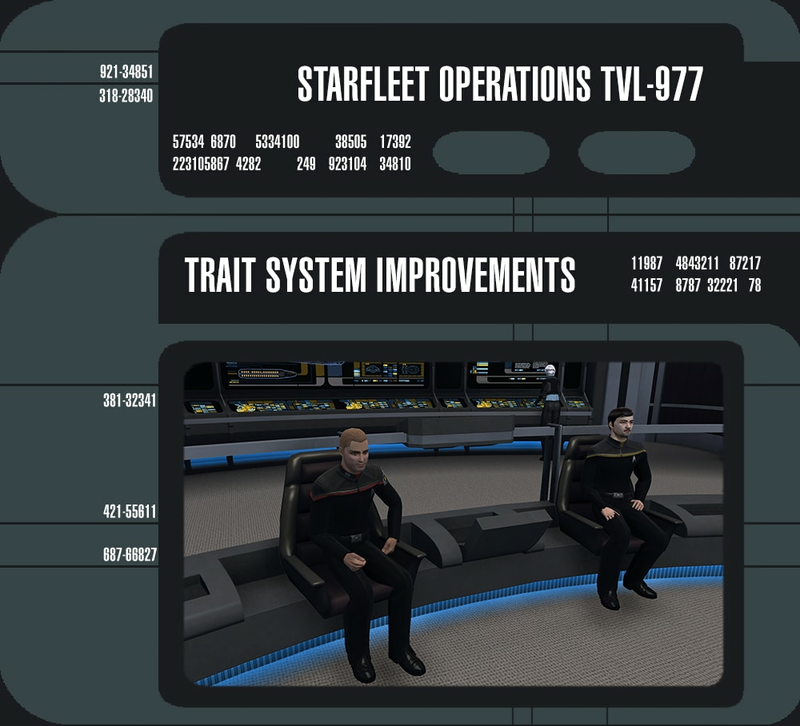 This vessel also features both a Lieutenant Science/Command bridge officer seat and a Lieutenant Commander Universal/Intel bridge officer seat. The Herald Quas Flight Deck Cruiser [T6] has a single hangar bay equipped with Herald Mir Fighters. These light craft are equipped with Herald Antiproton Beam Arrays and the Impact ability. The Herald Quas Flight Deck Cruiser comes equipped with an Energy Gateway Controller universal console. While this console is equipped you can activate this console to open a gateway that will rapidly replenish the shields of all nearby allies for a short time. This gateway is susceptible to enemy attacks, however it is fairly durable. This console also provides a passive boost to Shield Healing and Shield Hit Points. This Console Mod can be equipped in any console slot. It may be equipped on any Herald ship. You may only equip one of these mods. After achieving level 5 in the Herald Quas Flight Deck Cruiser [T6] Starship Mastery you will unlock the Synergistic Restoration starship trait. While this starship trait is slotted, any incoming shield healing will cause you to recover a small amount of shield healing over time. This can occur once every 10 seconds. This starship features both a Lieutenant Universal/Pilot bridge officer seat and a Lieutenant Commander Universal/Intel bridge officer seat. The Baltim Heavy Raider comes equipped with the Ambush Gateway Generator universal console. Activating Ambush Gateway will create a gateway around your starship. After a moment of charging you will be teleported approximately 3km behind your target. This advantage also provides you with a boost to damage and critical hit chance for a short time. This console also provides a passive boost to cannon damage as well as critical hit chance. After achieving level 5 in the Herald Baltim Heavy Raider [T6] Starship Mastery you will unlock the Waylay starship trait. While this starship trait is slotted and you attack an enemy's rear arc with directed energy weapons, you will receive a small shield heal. The Vonph Dreadnought Carrier is a truly fearsome starship, its colossal size coupled with its combat capabilities make it rightfully feared by members of the Alliance. The Vonph is slow to maneuver, but is incredibly durable and versatile. This starship features both a Lieutenant Engineering/Intel bridge officer seat and a Lieutenant Commander Universal/Command bridge officer seat. The Herald Vonph Dreadnought Carrier [T6] has a pair of hangar bays equipped with Herald Mir Fighters. These light craft are equipped with Herald Antiproton Beam Arrays and the Impact ability. The Herald Vonph Dreadnought Carrier comes equipped with the Oblivion Gateway Module universal console. When this console is activated it will create an Oblivion Gateway near your target that will periodically radiate devastating solar radiation that will cause heavy damage to nearby enemies. This console also provides a passive boost to Exotic Damage and All Damage Resistance. After achieving level 5 in the Herald Vonph Dreadnought Carrier [T6] Starship Mastery you will unlock the Peak Efficiency starship trait. While this starship trait is slotted, every few seconds all of your recharging Bridge Officer abilities will have their remaining recharge time reduced by a small amount if your hull strength is at or above 80%. Creates a Solar Gateway behind your target for a short time. This gateway fires a focused devastating beam of solar energy at a single target which causes significant radiation damage over time. Below is an outline of availability, abilities and equipment found on the Herald Hangar Pets. These fighters are unlocked in their stores listed below as long as you own a Herald Quas Flight Deck Cruiser or a Herald Vonph Dreadnought Carrier. Causes the Mir Fighter to perform a hit-and-run ramming attack on their target that causes tremendous damage. These raiders are unlocked in their stores listed below as long as you own both a Herald Quas Flight Deck Cruiser or a Herald Vonph Dreadnought Carrier and a Herald Baltim Heavy Raider. All three of the new ships feature the new Herald bridge! what.... what kind of a species would possibly think that makes sense as a shape for a vehicle? All those spiky bits? <sigh> Iconians. Dry Docking is an exciting new feature which allows you to store your hard-earned ships for the long term with the convenience of a few clicks, opening up Ship Slots for new arrivals and some old favorites. A Dry Docked ship won’t be available to switch to while it’s in storage, but it’s only a short trip to the nearest ship selector to bring it out of Dry Docking and ready it for action again. As Dry Docking a ship may mean storing it for an extended stay, you’ll have to re-customize any ships that you store. Since players cannot access a Dry Docked ship’s equipment, everything currently equipped on a ship will be moved into your inventory when the ship enters Dry Dock. The ship’s costumes will be reset and its equipment will be sent to your bags, but it will retain the name you’ve chosen as well as any mastery points you’ve earned while piloting it. 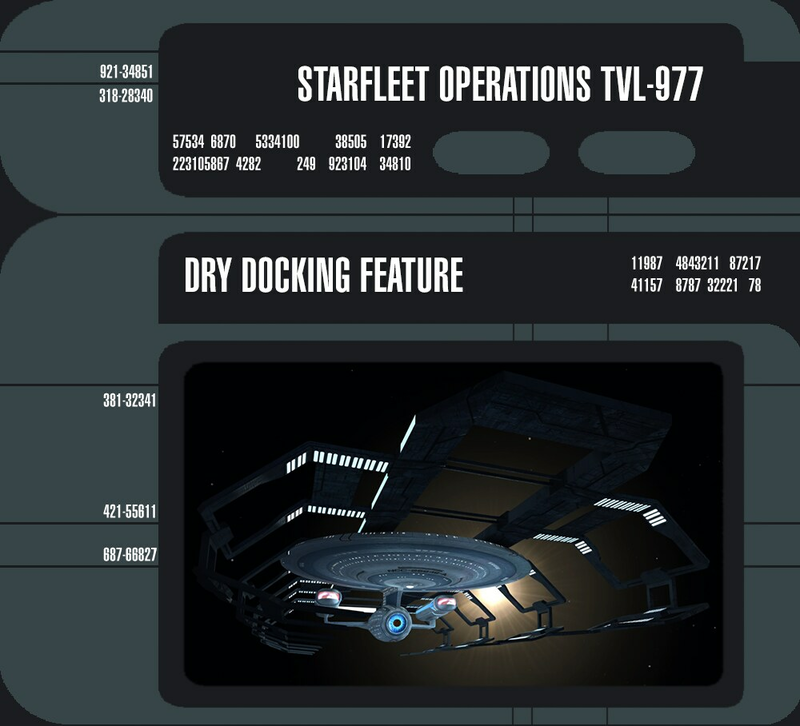 You can access the Dry Docking feature by visiting any ship selector, such as the one in Earth Spacedock, and selecting the new Dry Dock button. While you’re there, you’ll also notice a new tab at the top of the selector which allows you to view any Dry Docked ships and re-activate them. Lifetime and Gold Members will be granted 10 free slots, and Silver members will be granted 5 free slots. Additionally, 300 total slots can be purchased at 400 ZEN per 5 slots. Currently, our ground-based and space-based Personal Traits are grouped into the same category. This leaves people at a distinct disadvantage when they go on a ground mission with all space-based traits, and the other way around. It’s an area of the game which has been need of some attention. Constantly having to swap traits around simply isn’t fun. Going forward, Personal Traits will be split into two panels within the trait UI – Ground Personal Traits and Space Personal Traits. Players will have access to the same number of traits (9, 10 if playing an Alien species) for both sections, and these traits unlock at the same levels as before. The UI properly sorts out ground and space traits, so you don’t have to worry about accidentally slotting the wrong type of trait. Additionally, we recognized different species had access to different numbers of ground and space traits. Some species would not have enough options to fill out their Ground Personal Traits and Space Personal Traits without having earned extra ones. As such, we’ve added 4 new ground and 14 new space traits. These new traits are available to all species, regardless of rank or faction. This gives all players more choices with how to improve their characters, based on your own play-style. We feel these changes will go a long way in terms of improving the gameplay experience. Please remember to check out what traits you have equipped, and fill in both categories. Im So glad i am getting new internet , and it should be here monday!